iAnthus Capital Holdings, Inc. provides investors diversified exposure to best-in-class licensed cannabis cultivators, processors and dispensaries throughout the United States. Founded by entrepreneurs with decades of experience in investment banking, corporate finance, law and healthcare services, iAnthus provides a unique combination of capital and hands-on operating and management expertise. 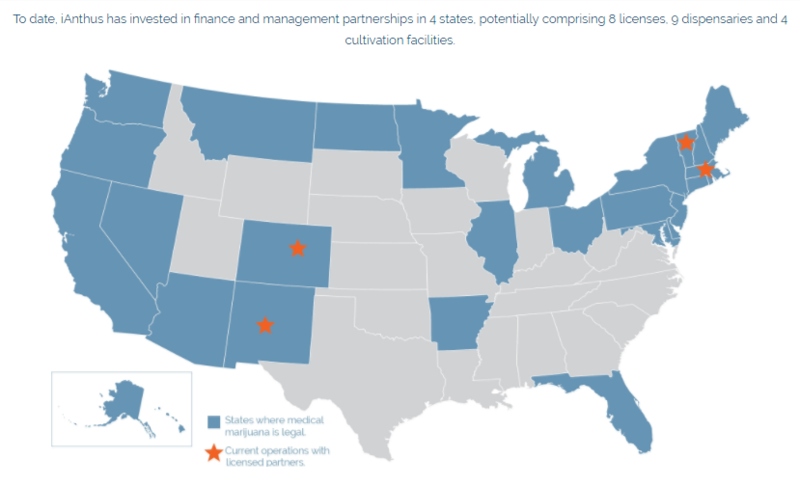 The Company leverages these skills to support a diversified portfolio of cannabis industry investments for our shareholders. Previous articleCongress Is Heading for a Confrontation With Sessions Over Marijuana.